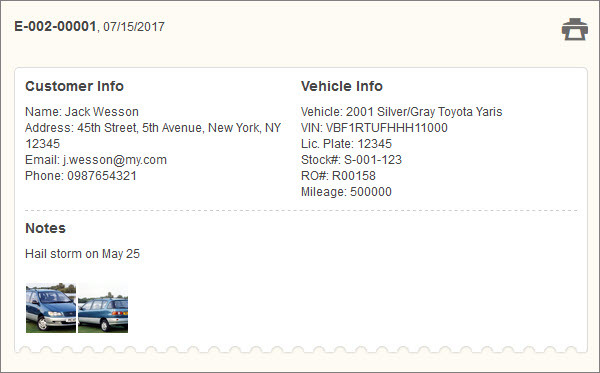 On the right side of the Inspections page you can see the Inspection detail view with customer and vehicle information, text and image notes, visual inspection, and the list of services. In the Notes section you may see text notes and image notes (if inspection notes were added). 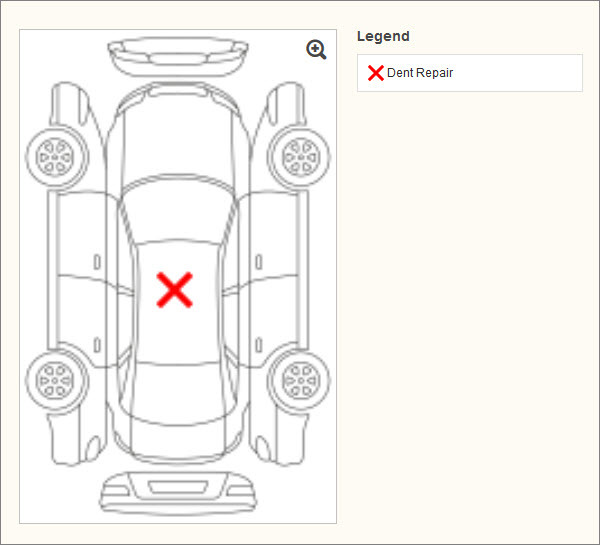 In the Visual Inspection section you can see the visual form and the legend. Tip To show the visual form in full size, click the Zoom icon. In the Services section you can see details of services added to the inspection.